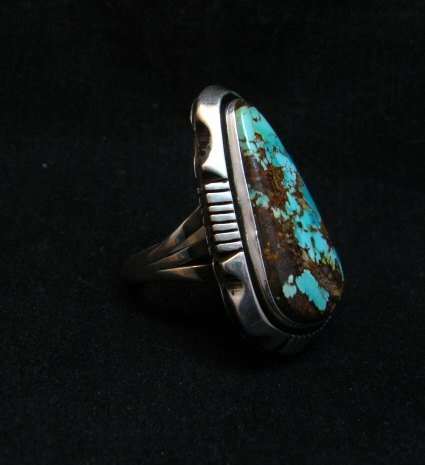 Here's a gorgeous Native American Sterling Silver Turquoise ring, created by Navajo silversmith, Lonnie Willie. 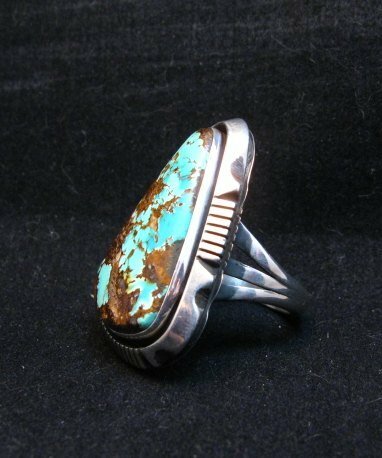 It has a tear-drop shaped natural Royston turquoise stone, set in a plain bezel surrounded by a carved shadowbox silver setting. 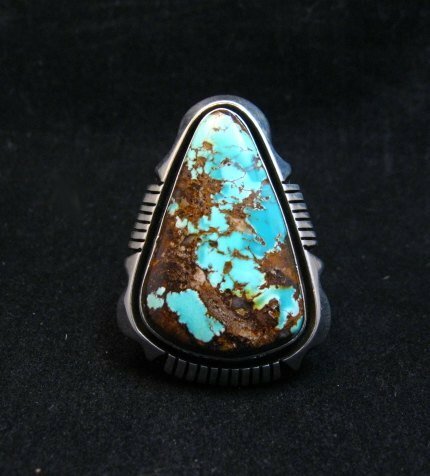 Beautiful green-blue turquoise stone with reddish and sandy brown matrix. 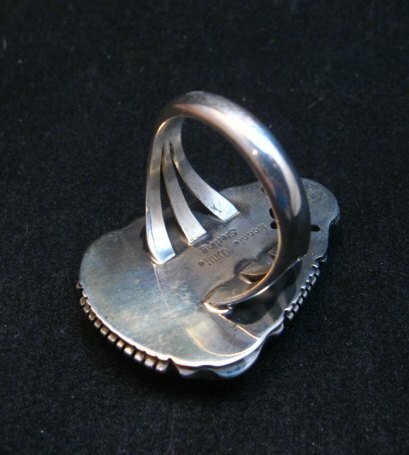 The face of the ring measures 1-1/2 inch by 1 inch. Weight: 16 grams. Three way split shank. Size 9. Brand new and in perfect condition. 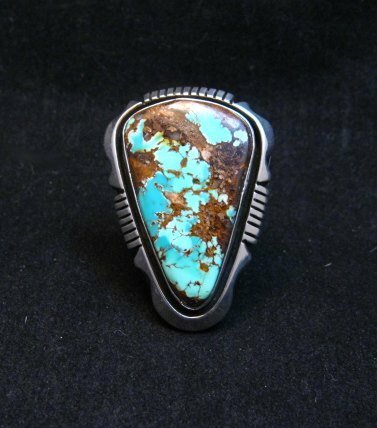 Created by Navajo artist, Ronnie Willie and has his hallmark. Gift box and Certificate of Authenticity included with your purchase. 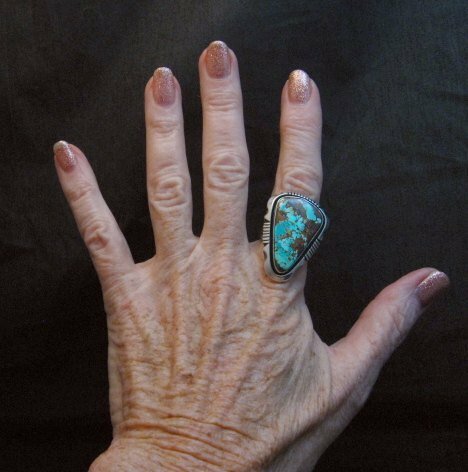 The Willie family members are well-known for their fine hand-made sterling silver jewelry. The family includes Ronnie, Lonnie, Rudy (and wife Happy Piasso) and Cooper, all of whose jewelry we carry on our website.